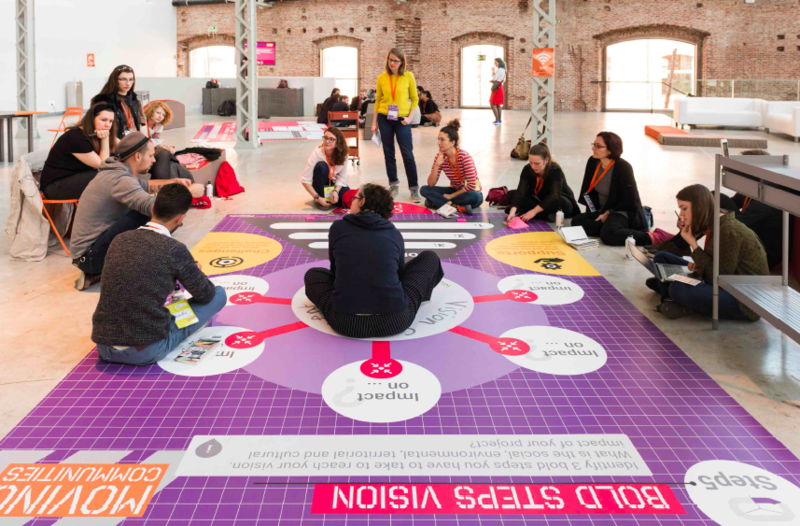 Between 2014 and 2017 as Platoniq / Goteo we have been part of the Connected Action for the Commons network initiated by the European Cultural Foundation and we are proud of the work we have done as a team and collectively in collaboration with the 6 hubs that make up the network. One of our greatest satisfactions in this work has been co-organising and hosting the 2017 Idea Camp “Moving communities” in Madrid. - What is a community? What makes belonging? - public space and non-spaces. How does one transform a space into a place? How to sustain these places? How do these space become home? What does the notion of home mean to us? - what’s the role of change agents in their community? Can we really talk about “neutrality”? - learning by doing as key notion in communities of change. As ECF’s Lore Gablier says in the introduction of the book, “every day, new initiatives are being born that bring about a different narrative: a narrative in which democracy is not a mere idea but a social dynamic, an embodied practice that stirs the very movement of society. In this flow that touches upon both public and private life, the role of culture is crucial. It provides us with the means, the imagination and the desire to affect the path.”. As we keep intertwining all the above questions with our work in Platoniq and Goteo, we salute the collective endeavour carried forward by such an inspiring community of practice and are impatient to see future developments of the cross-pollination we have all initiated together.